Shadowhunters has found its Meliorn! 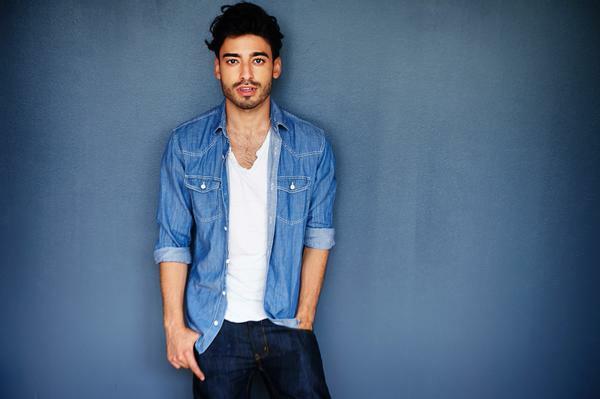 Jade Hassoune has been cast as Meliorn in ABC Family’s adaptation of Cassandra Clare’s The Mortal Instruments, the network announced on Tuesday. We, Fangirlish and Mundie Moms spoke to Cassie Clare and confirmed that she hasn’t seen an audition but is curious to see what part Meliorn will play in the show, as are we. This will be the first live-action appearance by Meliorn, who didn’t appear in The Mortal Instruments: City of Bones. In the books, he first appears in City of Ashes. Burbank, CA (June 16, 2015) – ABC Family has cast Jade Hassouné (“Cyberbully”) as Meliorn. It was announced today by the network. Hassoune will be a recurring guest star on the series. Based on the bestselling young adult fantasy book series The Mortal Instruments by Cassandra Clare, “Shadowhunters” follows 18-year-old Clary Fray, who finds out on her birthday that she is not who she thinks she is but rather comes from a long line of Shadowhunters – human-angel hybrids who hunt down demons. When her mother, Jocelyn, is kidnapped, Clary is thrown into the world of demon hunting with mysterious Shadowhunter Jace and her best friend, Simon. Now living among faeries, warlocks, vampires and werewolves, Clary begins a journey of self-discovery as she learns more about her past and what her future may hold. Meliorn, a handsome and elegant fairy, also known as a Seelie, is a creature that is equal parts angel and demon. “Shadowhunters” is produced by Constantin Film and executive produced by Ed Decter and McG. McG will also direct the first episode. The network has previously announced Katherine McNamara as Clary Fray, Dominic Sherwood for the role of Jace Wayland, Alberto Rosende as Simon, Emeraude Toubia as Isabelle Lightwood, Matthew Daddario as Alec Lightwood, Isaiah Mustafa as Luke Garroway and Harry Shum Jr. as Magnus Bane. I wonder if Season 1 of Shadowhunters will contain City of Bones and City of Ashes? I’m really curious and excited to see how many episodes is takes to do a whole book:) Jade looks awesome for Meliorn!!! So excited for this show!!! Intriguing choice but I can definitely see why. I’m sure they’ll do some amazing costume and special makeup effects for the fairies! Just maybe they’re using him and camille for a short introduction to the different downworlders, and then their story’s start later. Possibly the show is moving through the books faster than one per season. Woah woah woah woah. Second time a character has been cast way to early. In starting to fear for the plot. Please please please please don’t change the plot! Wow, I wonder how they’ll incorporate him in the show this early? I can see Meliorn coming in early as Isabelle’s boyfriend. Perhaps we’ll see their relationship play out from the beginning. Maybe see how they met. Just theorising here. he’s hot!!! I think he’s gonna be izzy’s boyfriend. HE’S LEBANESE!! (i am also lebanese) THIS IS SO EXCITING!! omg. He has an ethereal (and oh so hot) look to his face! PERFECT Meliorn choice. I’m excited to see this play out. He is what I imagined. Casting is a little early. There is plenty of stories and characters to explore in every book.